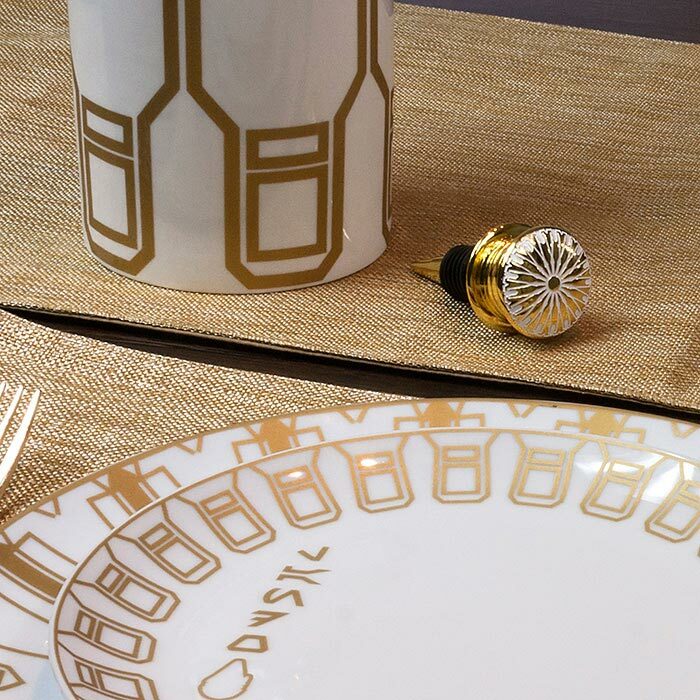 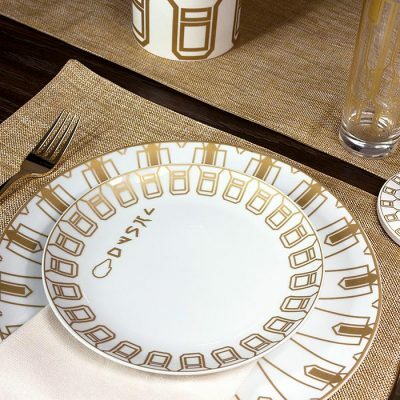 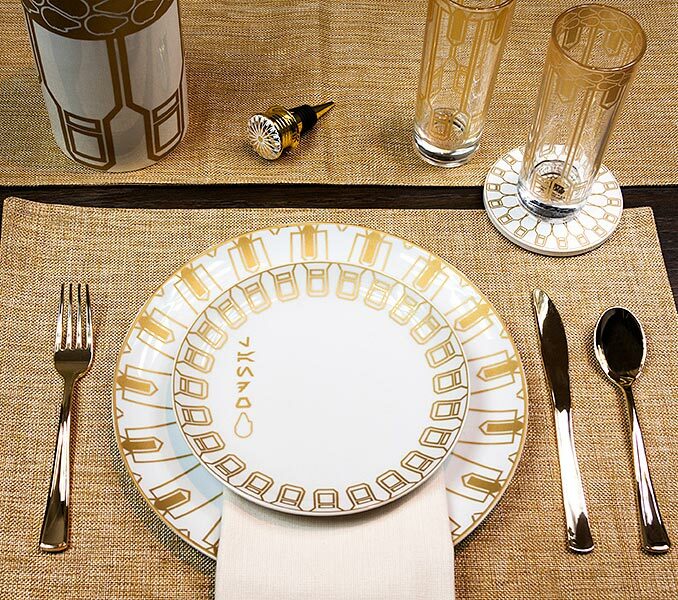 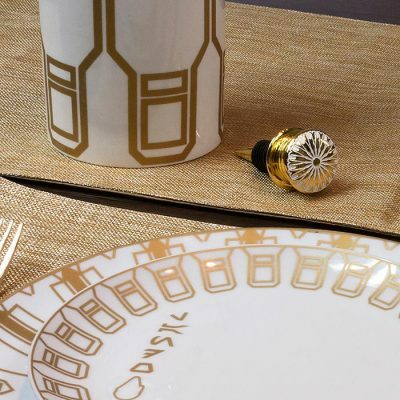 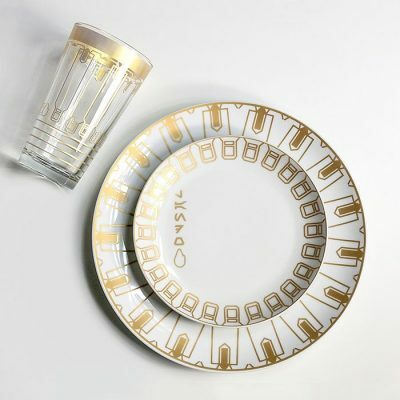 While this Star Wars Solo Lando Dinnerware Collection is inspired by the Solo: A Star Wars Story Movie, its golden art deco design is elegant enough for formal dining. 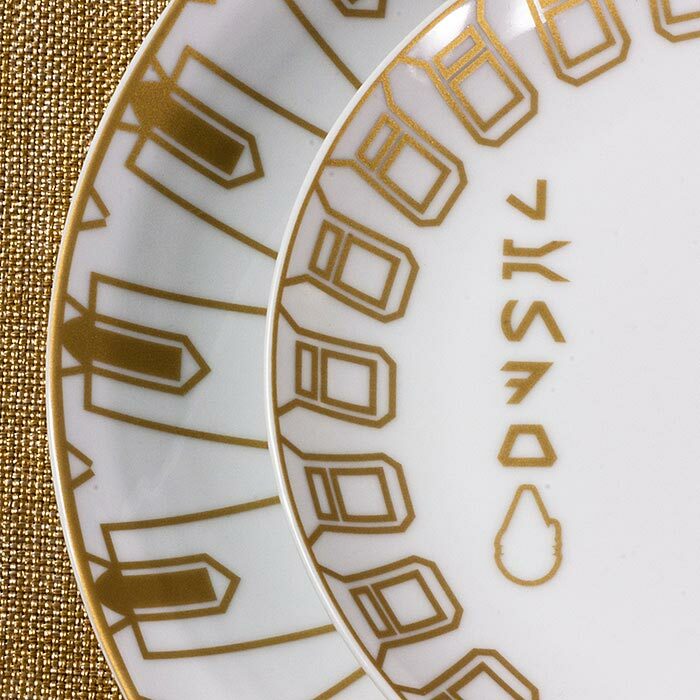 Except for Star Wars logos on the bottoms and Lando’s name in Aurebesh on the salad plates, the causal diner would have no idea about the geeky origins of this dinnerware. 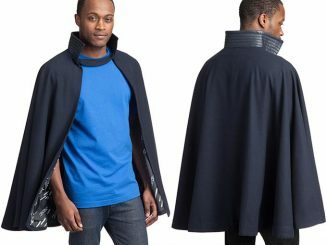 This whole Lando Calrissian Accents Collection is officially licensed Solo: A Star Wars Story merchandise. 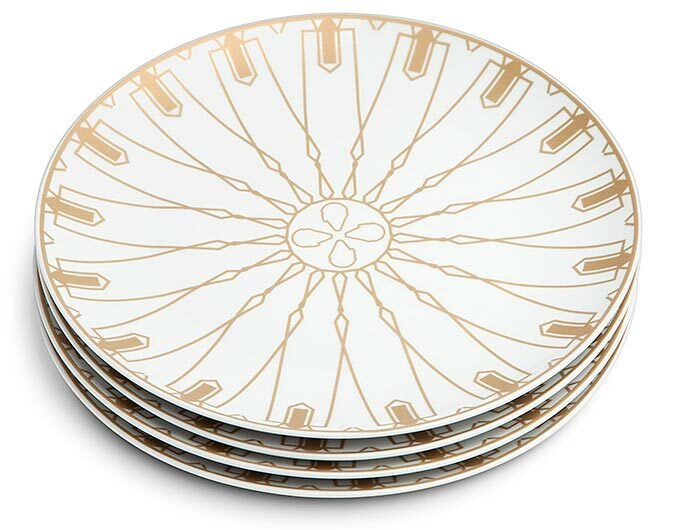 Constructed of porcelain, the dinner plates (10.5″ diameter) and salad plates (7.5″ diameter) are sold in sets of four. 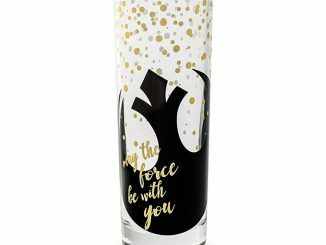 The Han Solo and Lando highball glasses have an 8 ounce capacity and are sold individually. 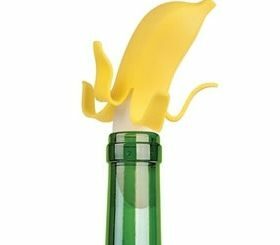 Likewise, the matching wine bottle stopper is also sold individually. 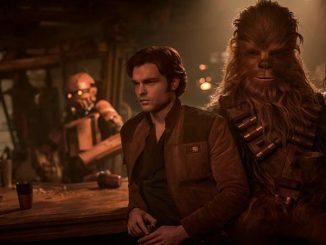 This collection of dinnerware from Solo: A Star Wars Story makes us ponder what could have been. 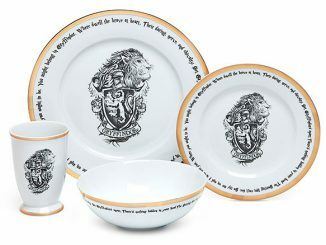 These dinner plates are perfect whether you’re serving up Bantha Burgers or Dagobah stew from a recipe you got from an old Jedi master. 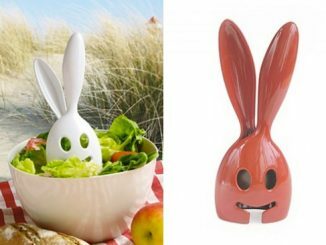 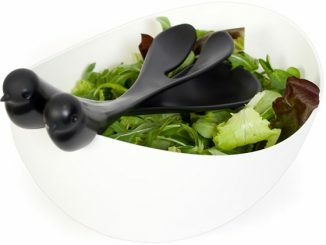 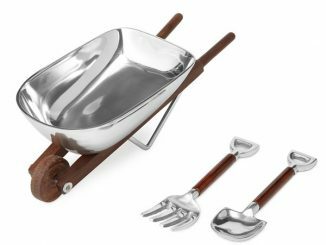 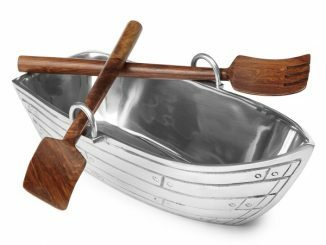 The salad plates are perfect for little appetizers or to hold a muffin to go with your blue milk. 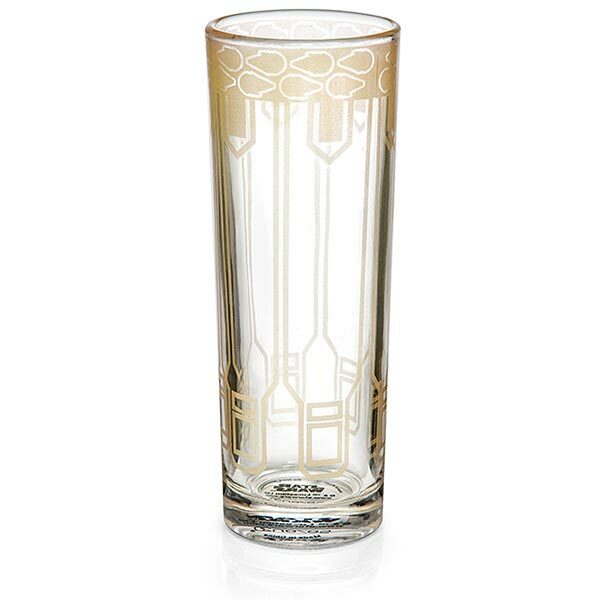 The Han and Lando highball glasses are tall, thin glasses with gold art deco designs that sit elegantly amongst the rest of your tableware. 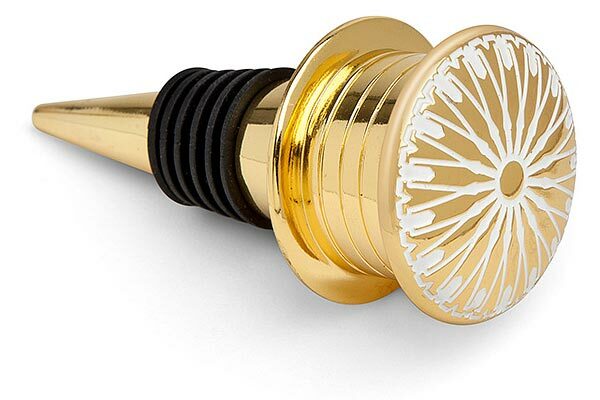 Finally the match wine bottle stopper features a white and gold art deco look. 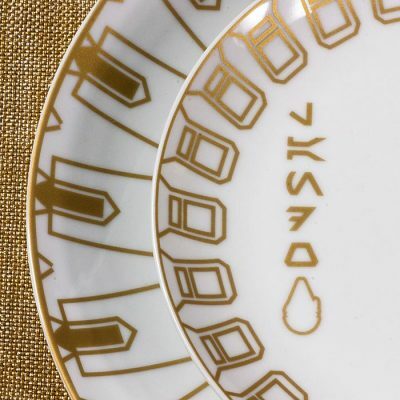 For $34.99, you can purchase the Star Wars Solo Lando Dinner Plate Set at Think Geek. 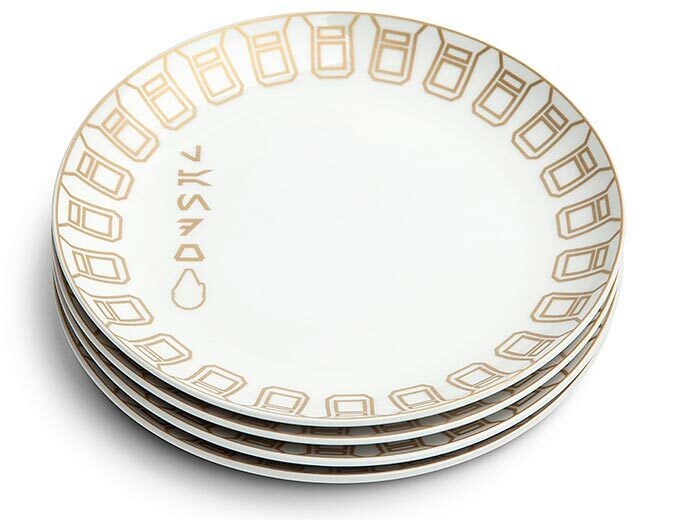 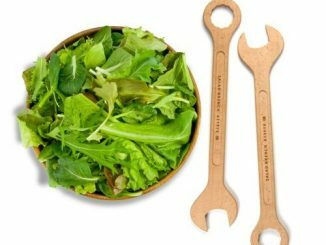 The Star Wars Solo Lando Salad Plate Set costs $19.99 at Think Geek. 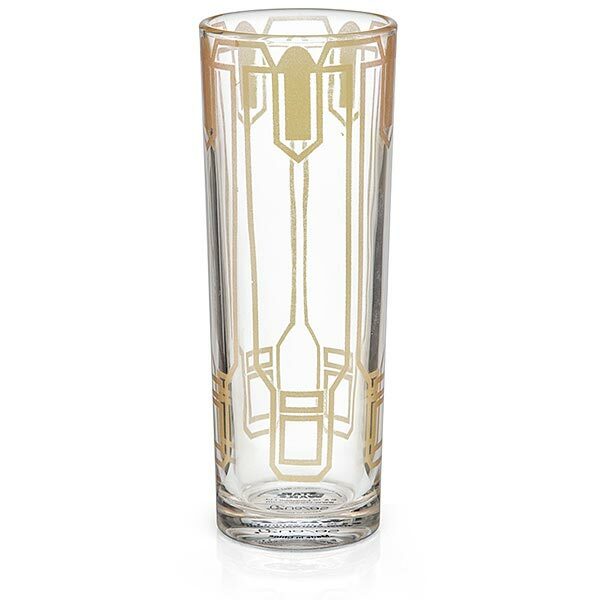 Find the Solo Star Wars Lando Highball Glass at Think Geek, where it retails for $7.99. 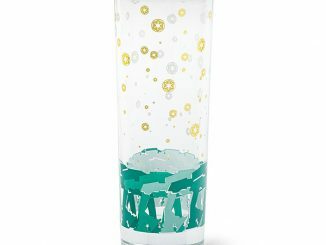 Purchase the Solo Star Wars Han Highball Glass for $7.99 at Think Geek. 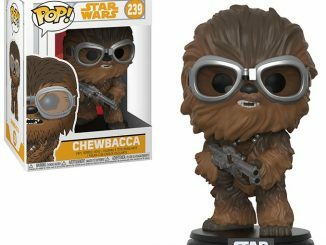 Buy the Star Wars Solo Lando Bottle Stopper for $9.99 at Think Geek.